Teachers can use all of the free resources they can get their hands on. Nancykeane.com offers reading resources for use in the classroom. Nancy Keane's Literature website offers a wide variety of free information. She is a Library Media Specialist from Rundlett Middle School in Concord, New Hampshire. ...See MoreTeachers can use all of the free resources they can get their hands on. Nancykeane.com offers reading resources for use in the classroom. The first link offered is titled "Booktalks". It boasts over 5,000 ready-to-use booktalks for students in grades K-12. The booktalks are simply small synopsis of the book, giving a little background on the book you are using with the class or book group. Some include a few questions or discussion starters to get the group started with the book. Some are very short and seem to not contain more than what can be found on a book jacket or a description of the book on a site like Amazon. The books are listed by author, title, grade level, and subject. The subject list may be most helpful when looking for books on a particular topic, and you then have a short synopsis of what the book is about. Each book also includes a link to the book on Amazon. This section also includes tips for booktalks and other sources for book reviews. In addition to the text versions of the booktalks, there is also a link provided to podcasts with audio versions of some of the booktalks. These are listed by date, so are therefore it is more difficult to find the book you may be working with. The remainder of the site offers information on books and articles written by Ms. Keane and workshops that she offers. The booktalks are not overly informative, but offer a glimpse into what each book is about. It may be helpful when students are choosing books. The book list is useful when planning summer reading lists or when choosing books to meet a particular theme or unit. The plus is that all of the information on the site is free, and it is all information that is time consuming to collect. It will be worth checking out to see if it offers something that will provide assistance when planning a literature unit or other literature based activities. 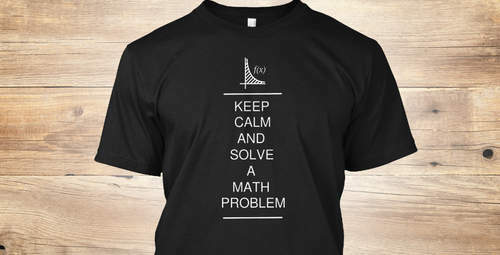 Discover Keep Calm And Solve Math Problem T-Shirt from Teachers Struggle, a custom product made just for you by Teespring. With world-class production and customer support, your satisfaction is guaranteed. - LIMITED EDITION "KEEP CALM AND SOLVE A MATH..
Art Activities for the classroom that are easy & affordable. The website above is a subscription-based streaming site that has tons of art videos. I've been scrolling through their video options...See MoreI feel like I am constantly looking for some type of art activity for my students to do. I need something affordable and hassle-free, and I think I've finally found it! Access a wide range of lessons in various mediums. Plus, download printable worksheets and art history PowerPoints for your whole class to enjoy! If you're looking for art project ideas, or even materials for substitute teachers, this channel has over 100 video demonstrations of art projects. 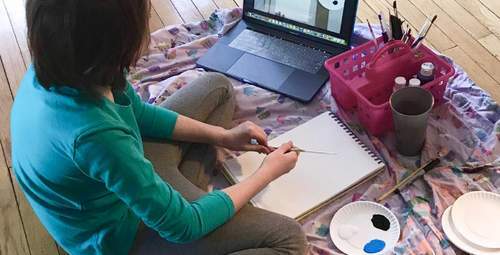 Today I added two more videos to Art Projects for Lower Elementary playlist. We help teachers create thought provoking learning environments by sharing classroom decorating and theme ideas. Looking for teachers with creative ideas that are willing to share with other teachers! When teachers share, students win! Bethlehem, Pennsylvania, July 9, 2015 – ArtSkills, Inc., announces an exciting new pencil accessory – Pencil Wrapz™, available now, exclusively at Target stores nationwide. Colorful and packed with personality, Pencil Wrapz™ give students, teachers, and anyone looking to add a little flair to their boring No.2 pencils a wide variety of cust...See MoreBethlehem, Pennsylvania, July 9, 2015 – ArtSkills, Inc., announces an exciting new pencil accessory – Pencil Wrapz™, available now, exclusively at Target stores nationwide. Colorful and packed with personality, Pencil Wrapz™ give students, teachers, and anyone looking to add a little flair to their boring No.2 pencils a wide variety of customization options. With patterns like comic book, graffiti, bacon, and much more, you’re certain to find a design that fits you just right. Did we mention that Pencil Wrapz™ are just as functional as they are fun? The easy to sharpen design ensures that the wraps stick to your pencils and not to your sharpeners. That means no more scraping away sticky residue left by less sharpener-friendly stickers. Have you ever lent someone your pencil and never gotten it back? Pencil Wrapz™ provide a clear but gentle reminder to help solve this problem. Our specially crafted Teacher Pattern Pack comes marked with the essential phrase of, “Please Return.” Whether you’re an educator who repeatedly hears, “May I borrow a pencil?” or just someone who wants to make sure that their favorite, personally customized bacon pencil is returned, Pencil Wrapz™ will undoubtedly come in handy. Need some assistance? We’re here to help you online at [link removed]. Founded in 1987, ArtSkills, Inc., is a family-owned company with a strong commitment to bringing quality and innovation to our customers in retail stores across North America, with poster making products and accessories, art materials, school supplies, crafts, and now Pencil Wrapz™. ArtSkills, Inc., is a proud supporter of the Kids in Need Foundation, whose mission is to prepare every child to learn and succeed by providing free school supplies nationally to students most in need.